Picking up where the second book in the Fort Bridger series leaves off, No Place for Fear finds Hannah Solomon befriending Betsy Fordham, a woman whose husband was captured and killed by Cheyenne Indians. Through friendship, Hannah talks with Betsy of the help God can providing in overcoming her bitterness and fear. Though that message is at first rejected, the disappearance of Betsy's two young sons-and their eventual rescue by Shoshone Indians-brings her to the place where she's ready to hear the message that God loves her, and that His perfect love casts out fear. 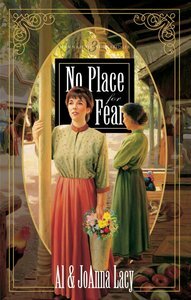 About "No Place For Fear (#03 in Hannah Of Fort Bridger Series)"